You have landed on the best page for the latest Cheesecake Factory menu prices! Known for its famous original cheesecakes, The Cheesecake Factory is a full-service restaurant that offers a menu that includes appetizers, small plates, pasta, burgers, sandwiches, pizza, and lunch specials. Accompanying the original cheesecake dessert is a selection of over 20 varieties of cheesecake flavors plus specialty desserts and ice cream delights. Below is the latest The Cheesecake Factory menu with prices. & Sundays until 2:00 p.m. The Cheesecake Factory gift cards are always a super delicious gift item. You can purchase traditional plastic gift cards and send them via postal service or you can order an e-gift card online. E-gift cards can be ordered anytime and delivered to your recipient’s email inbox instantly. There is a new use for your Twitter account. Sending out free slices of cheesecake to your favorite friends or family members. By using the Tweet-a-Slice app, your Twitter account will send an e-gift card to your friend for a free slice of cheesecake. The Cheesecake Factory is an ideal location for your next social event. Certain Cheesecake Factory locations have banquet rooms available. Go online to see which locations have banquet rooms and request more information. It only takes a few minutes to get connected with The Cheesecake Factory email newsletter and you will be one of the first to hear about new menu items, contests, giveaways, and special offers. Nothing says celebration like a delicious cake from The Cheesecake Factory. You can expect to receive your cheesecake within two-days packaged in a dry-ice insulated container to minimize potential damage and spoilage. Now you can celebrate! The Cheesecake Factory strives to be a socially responsible corporate citizen. Through their non-profit foundation, The Cheesecake Factory provides raises funds for local charities. The Cheesecake Factory also works with national charitable organizations such as Feeding America and The Harvest Food Donation Program. The Cheesecake Factory is working towards implementing a sustainability program that will reduce their environmental impact on the planet. The Cheesecake Factory is committed to working with suppliers to find responsibly-raised animal food sources. You can read more on The Cheesecake Factory official website. There is a reason why The Cheesecake Factory was voted to the Fortune 100 Best Companies to Work For, three years in a row (2014,2015,2016). Start your search by visiting the Career page on The Cheesecake Factory website. There you can search current openings, learn about the company, and their culture. The Cheesecake Factory also has a special hiring program for military personnel. Check out ‘Careers for Veterans and Military Families’. The first Cheesecake Factory location opened in 1978 by David Overton, in Beverly Hills, California, as a way to introduce people to his Mom’s famous cheesecake recipe. The location was a success and thanks to hard work, commitment to quality and a willingness to innovate, The Cheesecake Factory has almost 200 locations in the US, the Middle East, and Puerto Rico. Also part of The Cheesecake Factory family is two state-of-the-art bakery production facilities which bake cheesecake pies and other treats for retail distribution. Today, The Cheesecake Factory is a publicly traded company with headquarters in Calabasas Hills, California. Future plans include new locations in several locations around the globe. Stay connected with The Cheesecake Factory through various social media platforms. 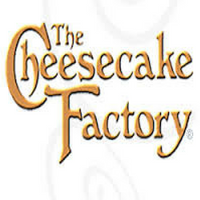 For more information about The Cheesecake Factory, visit their official website. What is The Cheesecake Factory Hours of Operation? Sun: 10:00 am -11:00 pm. The Cheesecake Factory Sunday Brunch is served between 10:00 am – 2:00 pm. Choosing what to eat at The Cheesecake Factory should be enjoyable. Now, with the Skinnylicious® menu options, you can choose items that contain less than 600 calories. The best place to eat! Would like to know do you ship whole cheesecakes? Most delicious and wonderful place I have ever visit in my life so far..
We like the cheese cake factory except it is rather expensive for pasta or a sandwich. The service is so so the food is really good and the portions are large. 8 bucks for cheesecake ? No thanks. I live in The Bronx,Dine in The Bronx and Manhattan. What is the locations of your restaurants? One glass of Samuel Adams beer cost us NINE dollars and it wasn’t even a big glass! would like some info on your catering business. A friend lives in a senior apt complex and you go there with your catering and they enjoy it so very much. My question is would you come to a senior club that you would have to serve 50 to 60 people. Would like a catering menu from you if possible.